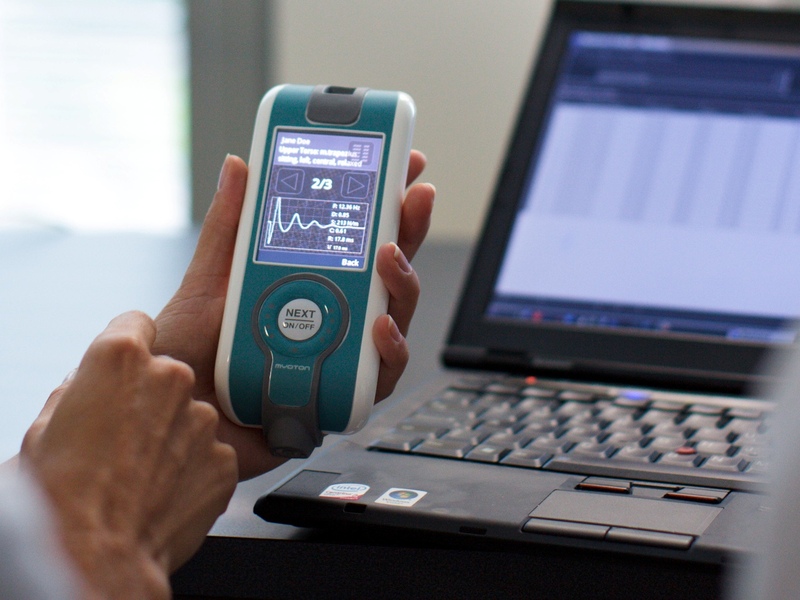 MyotonPRO is a digital palpation device for measuring muscle health and physical condition. The device was developed as a research device to investigate the possibilities of measuring muscle parameters non-invasively. The device has a mechanical actuator, that sends a tap pulse to the muscle and records the acceleration response. Later, digital filtering and processing is used to process the data and calculate numberic parameters. MyotonPRO has been used in close to 100 publications. Furthermore, the device reached the International Space Station (ISS) as part of the project “The Muscle Tone in Space” in 2018. The goal of the project is to investigate the long-term effects to the biochemical properties of muscles when exposed to spaceflight environment. The results could lead to the development of new strategies for alternative treatments on Earth, as well as in space.